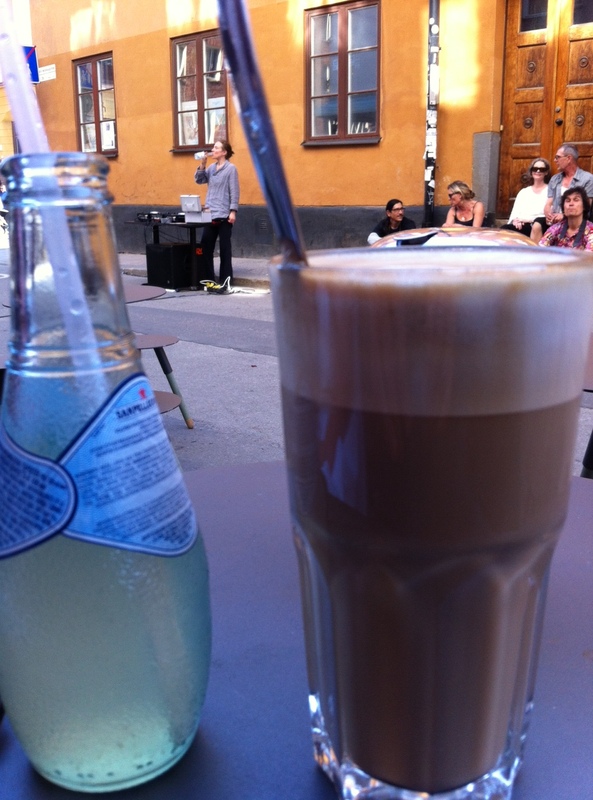 ← Kersh Hedström: Great coffee, friendly staff… and a happy hour! il caffè: I finally got you! The streets were totally empty yesterday morning on my way to work. This was not a surprise since it was still a bit early and, more importantly, it was Sweden’s National Day. As a result, most offices were closed, except mine. Although one can feel that authorities are making efforts to invigorate some sense of nationalism for the June 6th celebrations, the reality is that most Swedes still consider that their real National Day is on Midsommar. As a result, when we ask staff in the office to pick the 11 official holidays for the year, they never pick June 6th. I suspect this may change next year as Sweden’s National Day will fall on a Friday and, nationalism or not, who doesn’t like a long weekend in June. Since it was a pretty quiet day in the office, I managed to leave a bit earlier so that I could enjoy the “real” celebrations of June 6th in Södermalm: Make Musik Sthlm. If you have followed this blog in the last year, you may remember that I volunteered at this wonderful event in 2012. Once again, my friend LSG did a wonderful job in turning Södermalm in a music heaven for a day. Since I was not part of the event this year I do not have statistics on the number of concerts or visitors but when I saw LSG at the after-party in the evening, she looked quite satisfied. On my way to Make Musik Sthlm, I met with my friend AP. It was such a beautiful and warm day that I was planning to stop for a beer somewhere in the sun. However, on our way to Nytorget, we passed by Södermannagatan, right where the street is for pedestrians only between Skånegatan and Bondegatan. I often passed on that street on beautiful Saturday summer mornings, where the few cafés take possession of the streets with tables and chairs. By late afternoon yesterday, there was a DJ playing an eclectic choice of music, from French variety to Arabic beats. And contrary to every single times I had been there before, there were a couple of seats available. 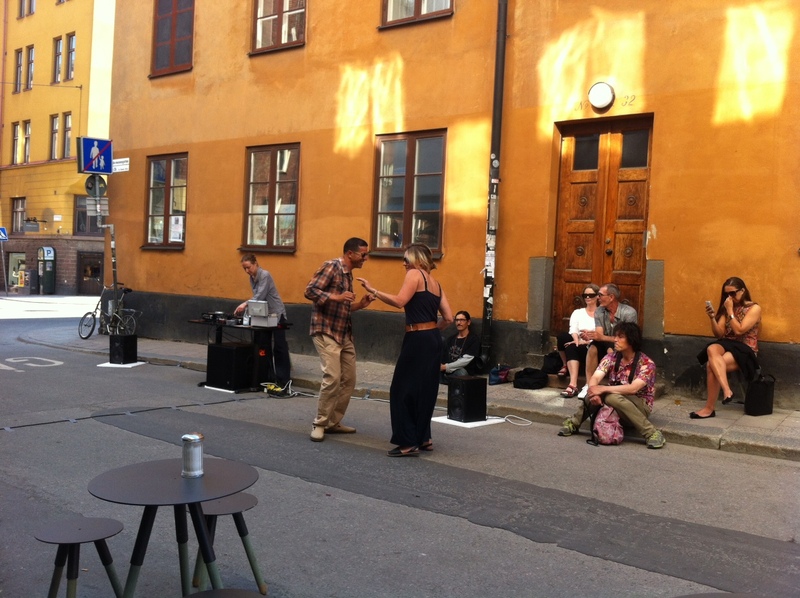 Obviously I was not the only one loving the music and some, with better dance skills than myself, took to the street! 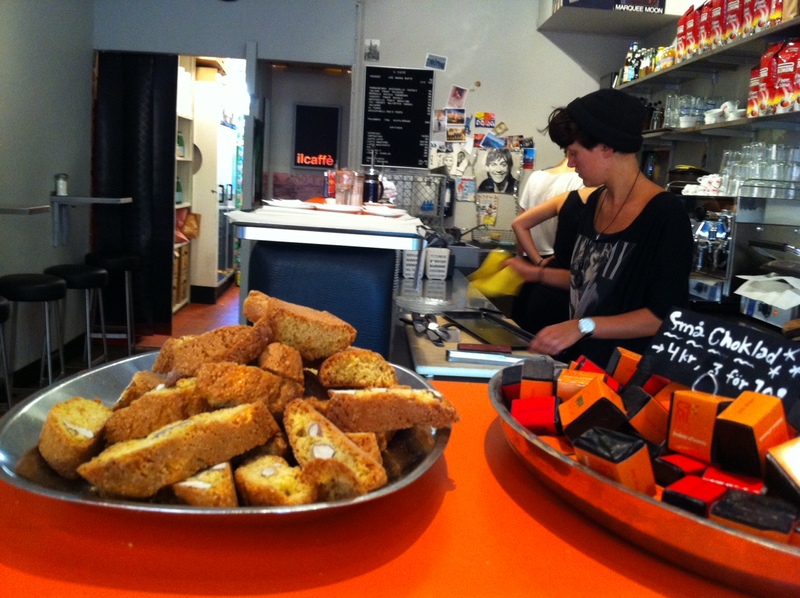 il caffè is a perfect place for an urban coffee. Location is great. Coffee is good. And there are all kind of hipster stores on Södermannagatan. There seems to be a lot of good food too at il caffè. I did not have anything there yesterday but my friend AP told me that she and her friends had been quite impressed with the sandwiches there. Maybe I should skip my run on Saturday morning and get to il caffè really early and spend a couple of hours there. After the (too short) stop at il caffè, we went to Södra Teatern for the Make Musik Sthlm after-party. It was the perfect ending for Sweden’s National Day. And when I got back home, I had a message in my inbox. 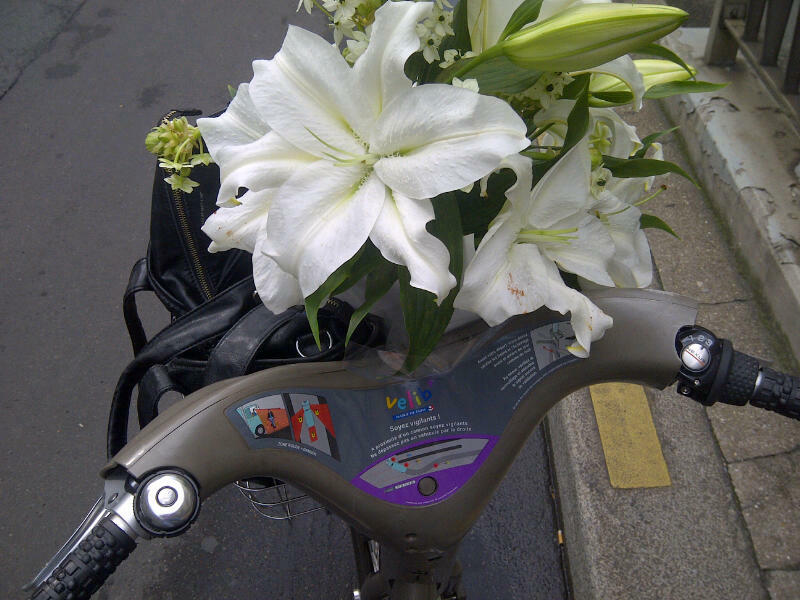 My flowers had been delivered – and received – in Paris. I went to bed happy! Now it’s time to start another day in the office for me, while most reasonable Swedes have also taken this Friday off, turning Sweden’s National Day into a very long weekend. That’s ok, because tomorrow is Saturday and I am planning to go back to il caffè! 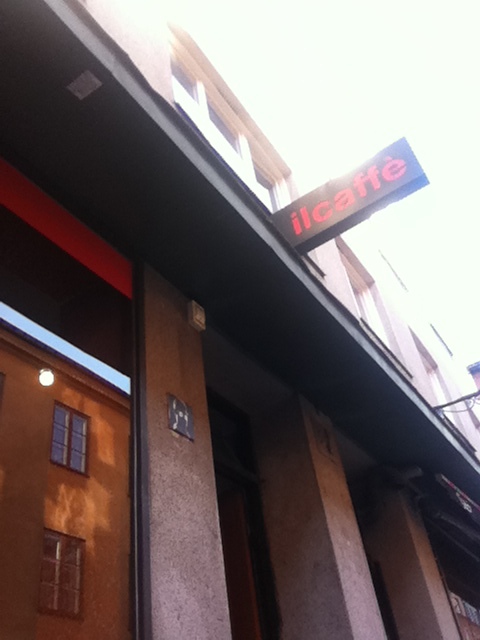 4 Responses to il caffè: I finally got you! It was a really huge cup of coffee!!! Combination of music on the streets + sunny days is something I really miss from Europe. There are many good things in Europe, however in this part of Europe sunny days can be rare. But when it is sunny, it really is beautiful!